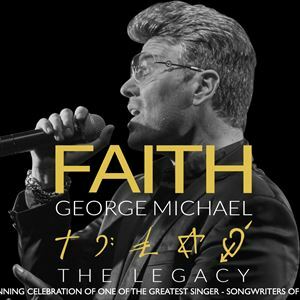 Don't accept imitations; Faith - The George Michael Legacy features international George Michael tribute artist Wayne Dilks together with his incredible 7-piece band and backing singers. A stunning celebration remembering one the greatest singer-songwriters of all time. A musical journey of 35 years of hit records from Wham! to George's solo career. Performing those everlasting hits such as, "Club Tropicana", "Wake Me Up Before You Go Go", "I'm Your Man", "Faith", "Father Figure", "Fast Love", "Amazing" and "Outside". Not forgetting the romantics, this tribute would not be complete without the timeless ballads such as, "Careless Whisper", "A Different Corner" and "Don't Let The Sun Go Down On Me". "Uncanny, looks and sounds like the real superstar" - The Stage Magazine.